House Fire Claims Life of Elderly Man, ONALASKA, December 5, 2009 - At around 11:30 pm on December 4, 2009, a house fire was reported at a residence at 711 Mae Drive in a small community a short distance from FM-356 North. 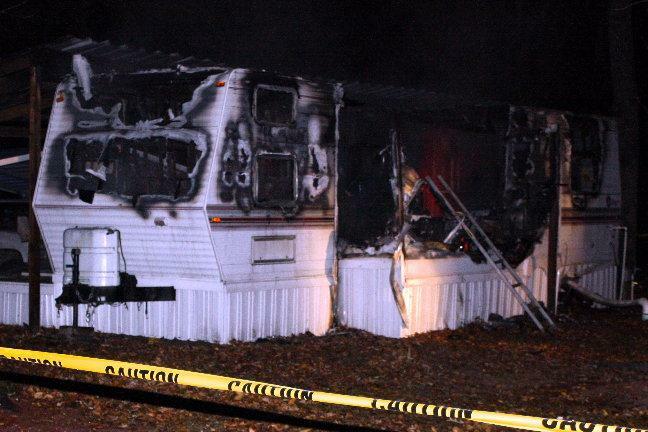 Onalaska Volunteer Fire Department was dispatched to the scene along with Americare Ambulance Service, Onalaska Police Department, Polk County Sheriff's Department, and Polk County Fire Marshal, Jay Barbee. The small residence was fully involved in flames when the fire trucks arrived. Firemen had the fire put out within minutes after arriving. But the small structure went up fast. 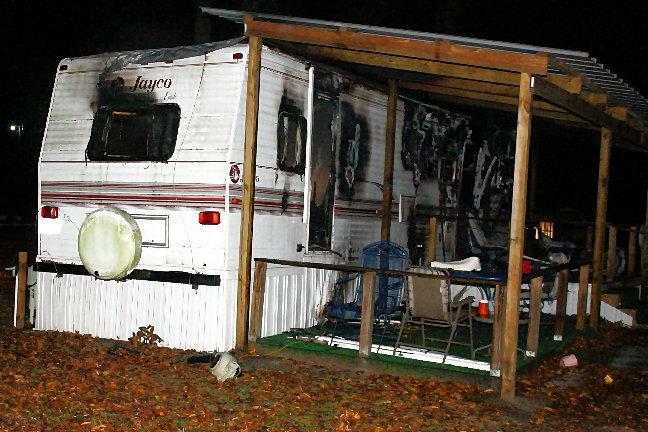 The house was actually a Jayco travel trailer that was set up for permanent living conditions. 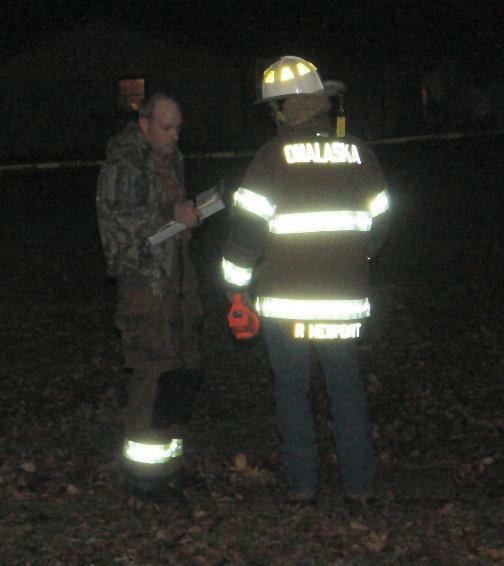 The resident (Ray Krenek, 76, of Onalaska), died in the fire. 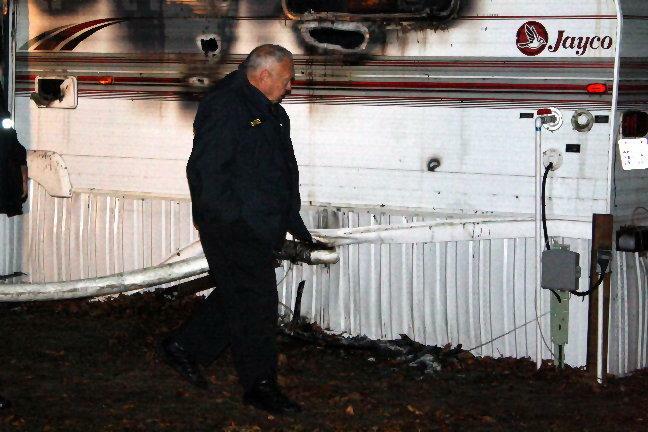 Investigators taped off the scene of the fire and combed over the yard, electrical sources, and the trailer probing for evidence. 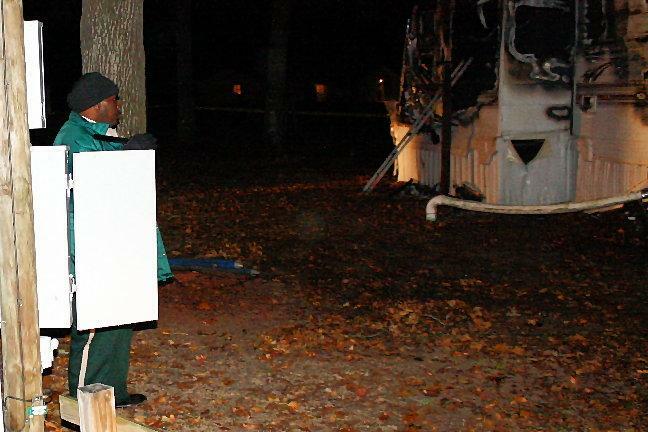 According to Polk County Fire Marshal Jay Barbee, the cause of the fire is under investigation. The scene was cleared by 3 am. 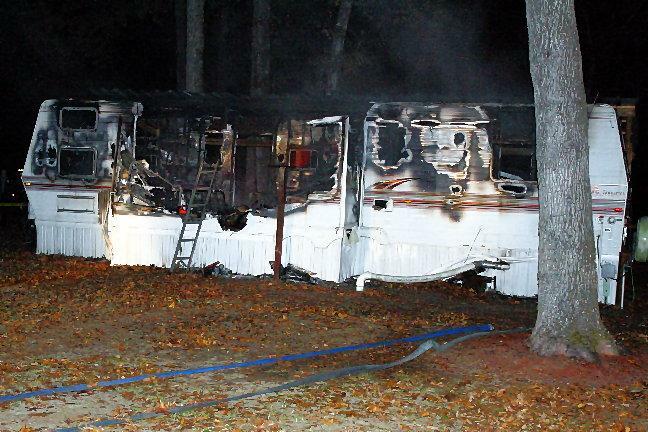 The backside of the travel trailer revealed how badly the small home was burned. Onalaska Fire Chief Roy Newport (right). 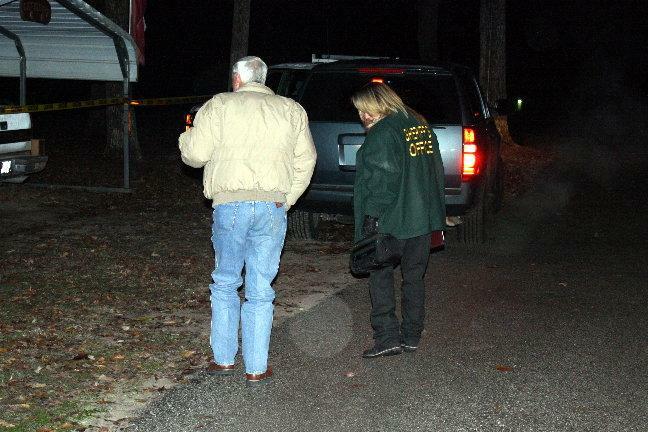 Chief Deputy Byron Lions mulls over the tragedy. 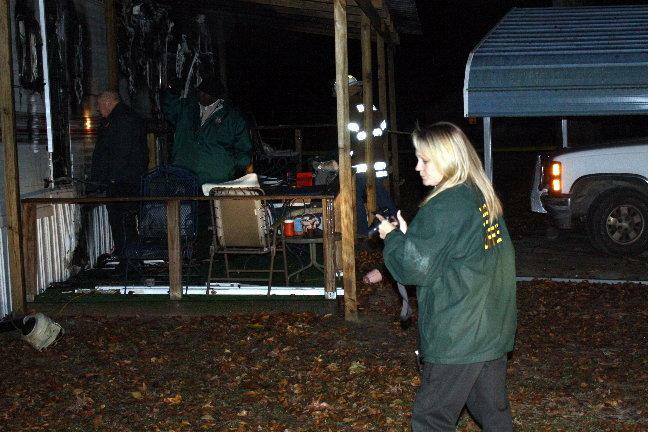 Polk County Fire Marshal Jay Barbee investigates. Justice of the Peace Precinct 3 Larry Whitworth (left) performed an inquest. 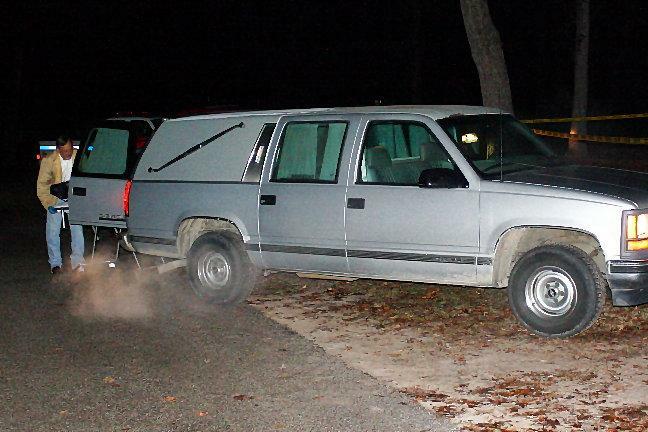 A first call car from Cochran's Funeral Home transported the deceased resident away.